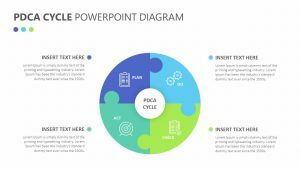 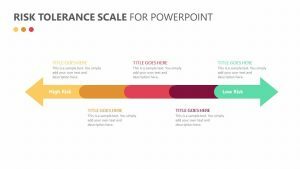 When orienting your company or new employees to a new project or new set of rules, the Dos and Don’ts PowerPoint Template is there to help you. 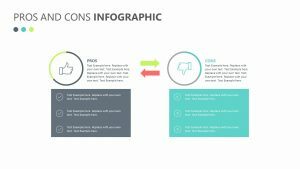 The Dos and Don’ts PowerPoint Template is a set of three fully editable PowerPoint slides that allow you to change the color, icons and text according to your unique needs. 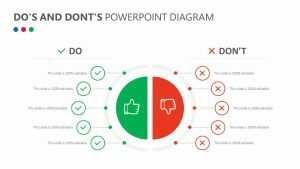 These slides feature two circles in the center, each with their own color and labeled “dos” and “don’ts.” Off to the side, labeled with the same color, are smaller circles that allow you to label the different dos and don’ts accordingly.